Until Windows 10 Creator’s Update and Game Mode arrives, we have to configure things ourselves if we want to get maximum game performance. If you want to get more out of your Windows PC, or play games at a higher resolution without upgrading your hardware, this computer support question post is for you. I like playing the odd game in my spare time. Even though I spend all day every day with computers, games offer a different type of challenge and an escapism that is hard to beat. Plus, my brain is wired to respond to gamification so they have extra attraction. So how do you maximize gaming performance on a Windows computer? Depending on whether you have done any of them before, these four things can seriously improve your game performance. Updating the drivers alone can add many frames per second to the output of your graphics card. All of these steps can be performed at no cost whatsoever. Just an hour or so of your time and that’s it. Drivers are free and provided by your graphics card manufacturer. Tweaking your Windows configuration is also free and takes only a few minutes. Basic overclocking is free and only begins costing money once you reach a thermal threshold. Tweaking game settings is something most gamers do anyway and also costs nothing. Keeping your device updated is something our computer support team always suggests. It is one of the best ways to keep your system running smoothly and benefit from the latest features and any code improvements. I use an Nvidia graphics card which comes with the GeForce Experience. This now actively informs you when a new driver is available. AMD cards don’t yet have this facility but checking drivers is something we should all do. Right click the Windows Start button and select Device Manager. Select Display adapters and then your graphics card. 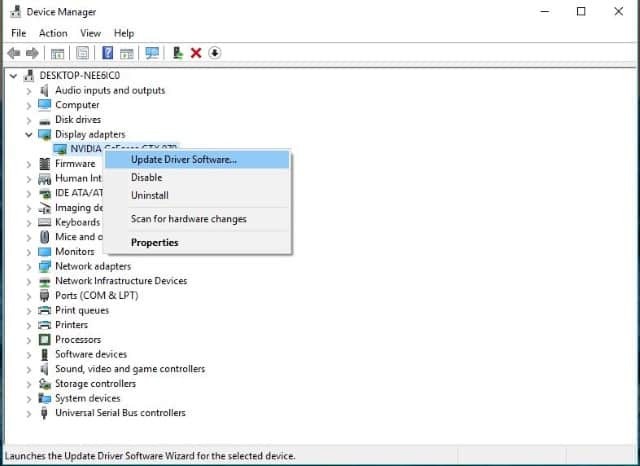 Right click it and select Update Driver Software. Select Automatic and let Windows find the latest release. Repeat for your audio, network and any peripherals you may use. You can also visit the AMD driver page or the Nvidia page directly and download. You can do the same for your other hardware if you prefer. While you’re updating, make sure Windows itself is up to date. Select the Windows Start button and then Settings. Select Update & security and then Windows update. Select Check for updates and let Windows update itself. 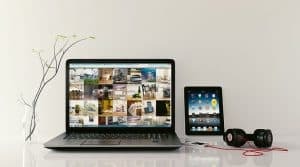 Once you have updated everything that needs updating, reboot your computer to make sure everything is working properly. Then we can move on to the next item on the list. If you have used Windows for a while, you will have noticed that there are lots of things going on in the background. An average Windows 10 install will have a number of apps, background processes and Windows processes running. Minimizing the number of these processes can free up system resources that would be better off running your game. Here you have two options. You can tweak Windows 10 to use the fewest possible resources permanently or perform a clean boot so it temporarily uses fewer only when gaming. It is possible to tweak Windows 10 and turn off many of the background tasks you may not need. Windows is designed to be all things to all people. It installs the configuration that will satisfy the majority of needs in the majority of computers. We don’t all need everything that’s running so we can turn some things off. My computer support team and I refer to the Black Viper website whenever we want to tweak something in Windows. The people behind the site are awesome and have done a lot of work to deliver a series of very usable guides to help you turn off services without breaking anything. Set a Windows Restore point. Visit the Black Viper website and scroll down the page to the services section. Decide what configuration you want, I tend to use ‘Tweaked’. Right click on your Windows Taskbar and select Task Manager. Select Services and then Open Services in the bottom. Work your way through the Black Viper list adjusting services as you see fit. If anything goes catastrophically wrong, which it shouldn’t, you have a Windows Restore point to go back to. 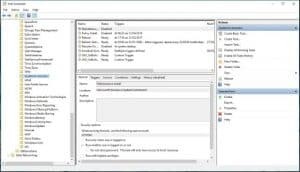 If you would prefer to leave Windows well alone, you can temporarily disable many of these background tasks to play a game and then go back to normal. It is called a Clean Boot. The computer support team does them to troubleshoot boot issues quite often. Type or paste ‘msconfig’ into the Search Windows/Cortana window. Select the Services tab and check the box next to Hide all Microsoft services. 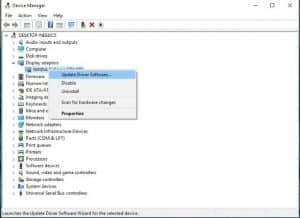 Select Disable all and reboot your computer. This will boot your computer using minimal services leaving more system resources for the game. Overlocking is a common trick that gamers use to increase the clock speed of their processor or graphics card. Using special tools, it is possible to eke out a little more performance from the hardware you have rather than having to buy new parts. Rather than repeat some very good articles, I will point you towards ‘How to overclock your CPU’ and ‘How to overclock your graphics card’. Both guides offer everything you need to get a bit more performance out of your hardware. Just keep an eye on those temperatures! If you find you like overclocking and want to push it further, you may need to invest in better cooling, bigger fans and heatsinks and maybe even water cooling. I have a water cooled computer at home and I know one of the guys in the computer support team does too. Maybe I’ll cover it in another blog post. Tweaking game settings is all about going into the particular settings of the game you want to play and turning down the things that don’t make much difference but use system resources. You should use your monitor’s native settings, 1920×1080 for most modern monitors. Check Anti-aliasing settings too. You need it as it rounds out jagged lines but set it too high and it uses too many resources. Most newer games have a benchmarking tool. Use that to assess what your hardware is capable of and then tweak until you find the quality you want with the performance you need. I like finding ways of getting more out of what you have rather than just throwing money at a problem. It gets the brain cells working and while we work in computer support, it’s always nice to know what you’re doing!